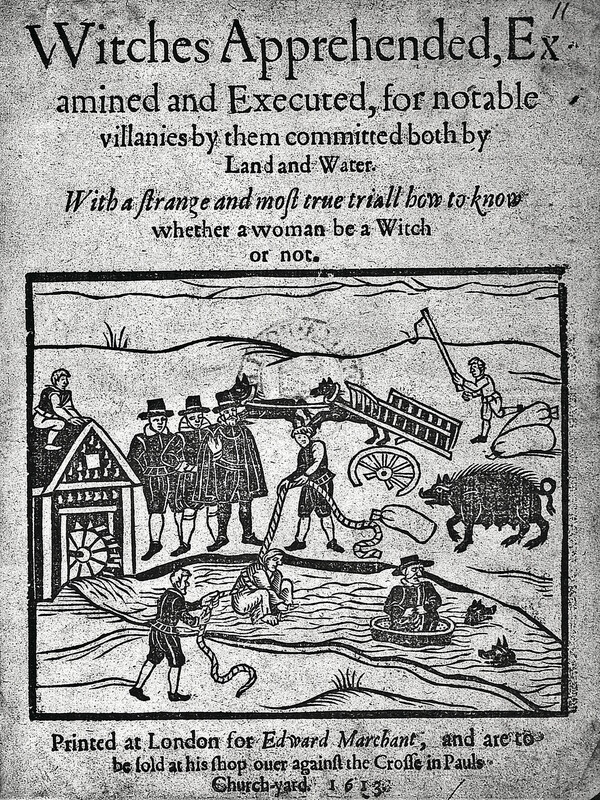 In 1651 Mary and Hugh Parsons of Springfield were sent to Boston to stand trial on charges of Witchcraft, a hanging offense, long before the Salem trials. Mary died in prison shortly after her arrival. Accused of murder as well as witchcraft, her fate was sealed the minute she admitted to the crimes. Hugh fought his charges and despite being found guilty by the Court in Boston, the verdict was overturned and he was released from prison. He never returned to Springfield. You would think one witch was plenty for any small Massachusetts town, but not so for Springfield. 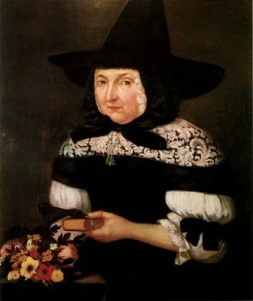 Not only did it harbor a second witch, but her name was also Mary Parsons, what are the odds? Mary, the daughter of Thomas and Margaret Bliss, was born in England around 1628. Her father was the son of Thomas Bliss of Belstone Parish in Devonshire, he immigrated to the New World and settled in Hartford, Connecticut. Mary married Joseph Parsons of Springfield on 2 November, 1646. In the narrow world of Puritan Massachusetts, petty jealousies, slights, and insults fermented just below the surface. According to some, Mary Bliss Parsons was a strong woman who spoke her mind. When the Parsons moved to their new home of Northampton they were followed by other residents of Springfield, including Sarah and James Bridgeman. What seems to have started as idle gossip on the part of Sarah soon blossomed into something much more, accusations of witchcraft. 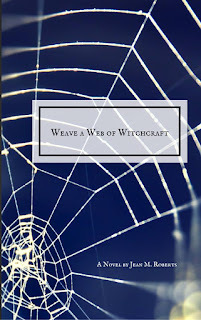 In the earlier witchcraft case, Mary Parsons accused the widow Mercy Marshfield of witchcraft. Mercy sued her for slander and won. Hugh Parsons was forced to pay an enormous fine to settle the case. Likewise the growing rumor that Mary Bliss Parsons was a witch began to impact her life. 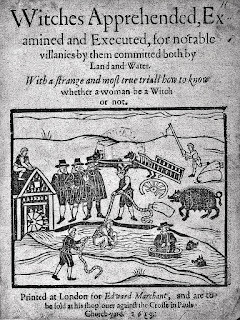 Reputation was everything to these people and to be falsely accused of witchcraft was not to be borne. Joseph Parsons, on behalf of his wife, accused Sarah Bridgeman of slander. The local magistrate found in Mary's favor and on September the 8th Sarah was arrested. She traveled to Cambridge in October to stand trial. Sarah was found guilty of slander and just like Hugh Parsons, her husband was ordered to pay damages and court costs to the tune of £17 1s. 8d., quite a sum in those days. Following the slander trial, life resumed its course but old wounds festered. In 1672 Robert Bartlett married Mary Bridgeman, daughter of Sarah and James. Sadly, the woman died within two years of marriage and the Bridgemans and Bartletts knew just who was at fault. The families again accused Mary Bliss Parsons of witchcraft. Once again, testimony was taken and anyone with a grudge against the Parsons had a ready tale to tell. Mary appeared before the court, ready to proclaim her innocence and face her accusers. Mary's body was searched, by her neighbors, for the mark of witch. Presumably none were found. Mary was arrested and ordered to face trial. In March she was sent to Boston to await her trial in prison. Her trial took place in May, before the Court of Assistants. Mary argued her own case and her testimony made a greater impact on her jury as she was freed, case dismissed. Her return to Northampton must have been bittersweet; she'd won, but she still had to live among her accusers. The stigma of her imprisonment and trial surely left a deep wound on this proud strong woman. By 1679 Mary had borne twelve children, most of whom survived to adulthood. She and her family survived the devastating (1675-76) King Philip's War, which all but drove the English from their American Colonies. 45 of Springfield's 60 houses were burned to the ground and many residents killed. Scary times for nervous, superstitious, witch believing, devil behind every bush kind of people. Joseph purchased land in Springfield, after the war and moved the family back to Springfield. Joseph died in 1683. Mary lived a good long life dying in 1712. I wonder what her thoughts were on the 1692 Salem witchcraft trials, which resulted in the deaths of many innocent men and women. Did she feel sympathy for them? Did she believe for one minute that they might be guilty? Did she think on the witchcraft accusations of her namesake, Mary Parsons and wonder if she too might have been innocent? I hope so. Apparently some folks have come to believe that the accompanying portrait is of Mary Bliss Parsons. This does not appear to be the case. See this blog for an explanation. See this excellent website from UMASS on Mary Parsons and her life and trial. Includes digital copies of testimony, photos of her descendants homes, genealogies, etc. Henry Parsons, Parsons Family; Descendants of Coronet Joseph Parson Springfield 1636...Northampton 1655, (New York: Frank Allaben Genealogical Company, 1912), Internet Archives (https://archive.org/details/parsonsfamilyde00parsgoog/page/n48 : accessed 1 January 2019). James Russell Trumbell, History of Northampton, Massachusetts Vol. 1, (Published in Northampton: 1898). Google Books (https://books.google.com/books?id=GNo_AQAAMAAJ&printsec=frontcover&dq=mary+bliss+parsons&hl=en&sa=X&ved=2ahUKEwic1tz368zfAhUO-6wKHaNZBi4Q6AEwA3oECAYQAg#v=onepage&q=mary%20bliss%20parsons&f=false : accessed 1 January 2019).